In life, anything can happen. Injuries and illnesses cannot always be prevented. But there are things you can do now to help protect your financial future from unexpected medical expenses, and keep yourself happy and healthy in the process. The time to set money aside for just-in-case scenarios is now. You never know what can happen and having savings set aside will give you comfort and peace of mind. Surprisingly, very few Americans save enough money for emergencies, unexpected job loss or long-term disability. Of the people ages 18 to 29 that Bankrate.com recently surveyed, nearly half said they save 5% or less. Nearly one in five don't save anything at all. In a Cigna survey, individuals were asked how long their finances would last without a paycheck. 59% said they would exhaust their resources in 12 weeks or less. Almost a third (29%) said their finances would only last a month or less. Okay, so you've created a cushion in your bank account. That's great! Almost as difficult as creating an emergency fund is keeping the money until you absolutely need it. Do not dip into it for frivolous purchases. Think about what might happen if you come down with a serious illness or an injury. You need enough money in that account to cover your living expenses while you heal and recover, especially if you're unable to work. You might think this is an expense you can't afford, but protecting your income when you are sick or hurt and cannot work can be worth the cost. 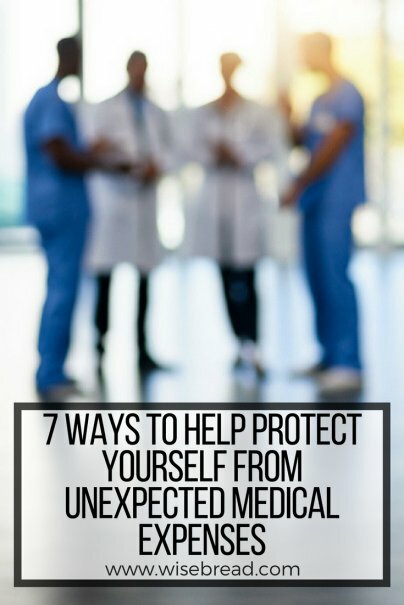 According to the National Safety Council, one in eight Americans seek medical treatment for an accidental injury each year. [i] And one in four twenty-somethings will become disabled before they retire. [ii] These numbers are quite sobering. The median American salary is $53,000,[iii] and a disability plan would typically cover 50%-60% of that income. And, don’t forget to look for value-added benefits available with many disability plans such as discounts on memberships to a local gym. It's crucial to pay attention to how your body feels and reacts to things. You are the only person who can tell if something is off and when that's the case, call your doctor. Catching something in the early stages can save your life, and your budget. Some health plans offer access to telemedicine services. These services allow you to connect with a doctor remotely at any time of day. Emergency room visits can also cost a lot out of pocket, even with medical coverage. Before you get sick, scout out urgent care offices near you and save yourself a surprise medical expense later on. Of course, if you’re in a serious medical situation, don’t hesitate to call for an ambulance. Just because you're young doesn't mean you're immune to health problems. A happy, successful future starts with taking care of yourself now. According to a recent study, sacrificing care for other household needs (food, rent, etc.) is especially prevalent among younger consumers. One-third of younger consumers make these types of tradeoff decisions occasionally, while one in four make them at least once per month. Anything can happen, so make your health a priority. Poor health can be more difficult to fix as you get older. When it comes to overall health, there are always improvements to be made. And even if you've been diagnosed with a certain condition or disease, there are things you can do to keep your health from worsening. The key is to educate yourself. Talk to your doctor about proactive ways you can improve your health. Check out available resources, professional organizations and support groups through your health plan carrier or in your community. Don't be afraid to reach out. Each group has a vested interest is helping you with your health. Good health and bad health are cyclical. A 2014 health study indicated that those in very good to excellent health tend to focus on exercise. Those in fair or poor health are more likely to establish bad habits like smoking. Bad habits cost more because they are gateways to other conditions. For example, obesity can lead to back and knee problems and even diabetes. So if you're obese or overweight, losing weight, eating healthy, and exercising consistently will help you stay on a healthy track. Staying healthy makes you happier now and in the future, and can help you keep more money in your wallet. What steps have you taken to prevent a life altering illness or injury from harming your financial future? This article is sponsored by Cigna. Visit Cigna.com for more great information on the link between health and financial security. This article is for educational purposes only and is intended to promote consumer health. It is not intended as financial or medical advice and you should always consult a professional for financial or medical advice. [i] National Safety Council, Industry Facts Summary, 2011. [ii] U.S. Social Security Administration, Fact Sheet February 7, 2013. [iii] Household Income: American Community Survey Briefs; United States Census Bureau, U.S. Department of Commercial, Economics and Statistics Administrations; September 2014.